The rapid evolution of manufacturing makes the role of metrology more vital than ever, as firms demand greater accuracy and efficiency in their increasingly complex and automated production processes. A new £40 million research center based at the University of Huddersfield in UK will play a crucial role in what has been dubbed the Fourth Industrial Revolution. 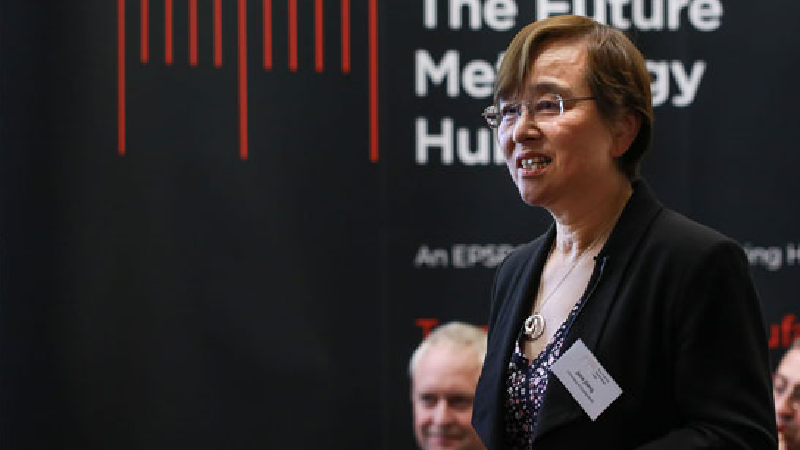 The seven-year Future Metrology Hub, which receives £10 million from the Engineering and Physical Sciences Research Council, with extra funding from universities and business partners, was officially launched at an event attended by more than 130 scientists, engineers, academics and industrialists. Professor Jiang stressed the need for inter-disciplinary collaboration across a wide range of sectors. “That is what the Hub is all about,” she said. The University of Huddersfield – home to a world-renowned Center for Precision Technologies – is at the center of the Future Metrology Hub. Its “spokes” are at the universities of Sheffield, Bath and Loughborough, which will contribute research in specialized areas. The National Physical Laboratory, which has its regional base at the University of Huddersfield, is also a collaborator, and there are 29 industrial partners, including leading firms such as Rolls-Royce, Jaguar Land Rover, GKN Aerospace, BAE Systems, Siemens, Reliance Precision and Carl Zeiss, all represented at the launch. Professor McFarland provided a series of case studies, showing metrology in action in a range of sectors, including automotive, aerospace, power generation, healthcare and consumer products. He spoke about the dramatic drop in the expected life cycle of products, which meant metrology was becoming even more important, with production geared to lower volumes and greater flexibility. However, the skillset required of modern metrologists was incredibly rare, and traditional learning on the job is no longer viable in complex modern factories. Therefore, the training of metrologists would be a vital role for the new Hub, said the Professor.